The Senior Boys Athlete of the Month is Drake Donovan. Drake is currently a member of the Senior Boys Hockey. Drake was chosen as this month's athlete because of his amazing commitment to the team. Drake gives a great overall effort at every game and practice, and plays every game extremely hard. He also brings a lot of positives to the team on and off the ice with his great attitude. The Senior Girls Athlete of the Month is Erin Moody. Moody was chosen because of her involvement on the Senior Girls Hockey team in their first year in the league. Erin is the captain of the team and also leads the team in scoring. Erin's peers and coaches see her as a great team leader. She was also a huge part of the girls soccer team which had a very strong season this year. Middle School Boys Athlete of the Month is Devon Edwards. Devon has been chosen because of his basketball talents. He is a great leader for the middle school team as well as their leading scorer and point guard. He is also an important part of the high school boys team. Devon is a starter on the high school team and is currently about third on the team for points per game. Middle School Girls Athlete of the Month goes to Jorja Donovan for her involvement in basketball. Jorja is an extremely dedicated athlete as well as a team player. She always brings a positive attitude and tries her hardest, which translates to her play on the court. Jorja is also the team's leading scorer at this point in the season. 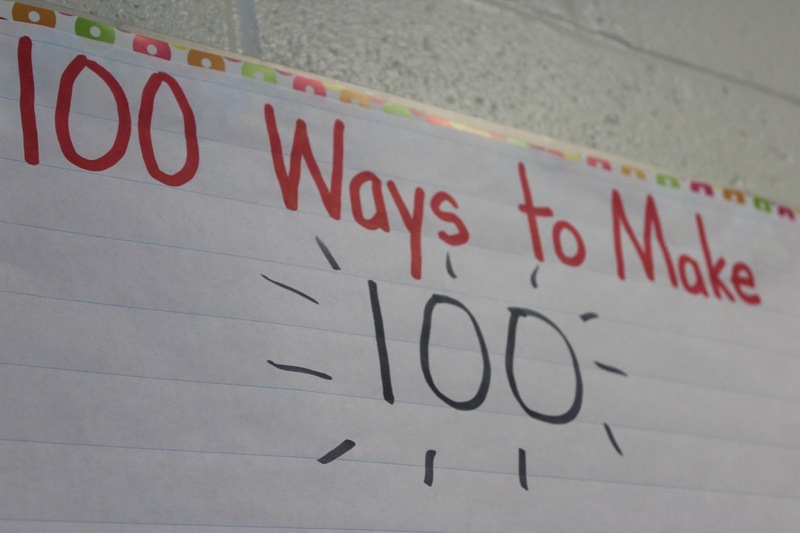 Elementary students celebrated 100 days at Blackville School on Tuesday, February 20. 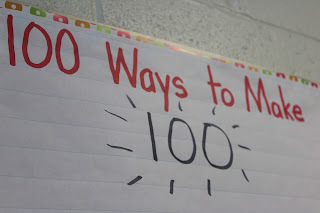 The students created projects centred around the number 100. The yearbook staff also created two displays showcasing 100 photos taken throughout the school year. Jaime McNeil cooking pancakes for the sweetheart breakfast . Last week was busy and full of activities at Blackville School as students prepared to celebrate Valentine's Day. First off, on Tuesday, the grads of 2018 hosted a Princess Tea Party for grades K-2, as well as a pajama party for grades 3-5. On Valentine's day the school hosted a 'Sweetheart breakfast' for grades K - 5. Students were allowed to invite a guest to come and enjoy a pancake breakfast. The cafeteria staff had a blast making breakfast for such a big crowd and even some teachers put on their aprons to help out. More photos from these events can be found here and here. 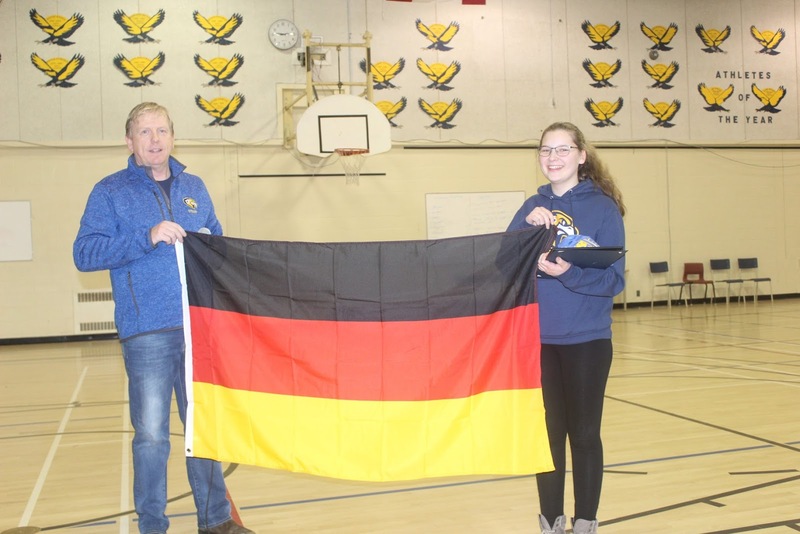 Blackville School recently held a farewell assembly for German exchange student Carla Ahad. Students and staff from high school gathered in the gym to say goodbye to Carla and wish her a safe journey home. Mr. Buggie presented Carla with a Canadian flag, signed by all her friends, as well as an honorary letter for the soccer team, which Carla had been a member of in the fall. Carla, who had been an Eagle since first semester, was a very spirited member of the school. Mr. Buggie joked that it was difficult deciding what to give her as a parting gift since she bought almost all the school clothing options. 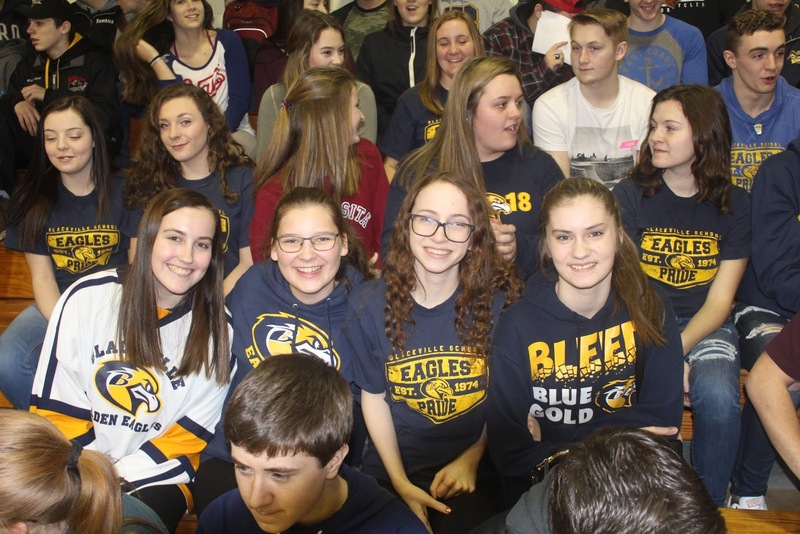 This Tuesday, February 13, the Blackville senior boys and girls basketball teams will face off against the teams from NSER in the annual Eagle versus Cobra challenge. Excitement is high as the teams prepare for what is to be an interesting game. The admission for this event is $5 for adults and $2 for students. 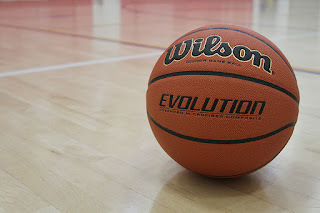 The senior girls will play at six o'clock and the senior boys will play at 8 o'clock. The storm date for this event is February 15. Come out and support our Eagles!